Happy New Year to all my friends near and far! I have a few minutes peace here. An hour, maybe two if I am lucky, to just sit, sip tea and think about the holidays.This is a rare moment right now. Our home and life here in Whistler is alive with the hustle and bustle of happy times. Amidst it all, I am finding a spare moment to reflect and set a few goals for the upcoming year. The chaos will continue for weeks to come, but if I can find a small sliver of quiet time daily all will be good. At this time of year I can't help but feel melancholic. I am so grateful for the health and happiness that we are surrounded by right now. I am grateful to have my friends and family together.I am grateful for the supportive and positive community that I have surrounded myself with this past year. My creative journey has been such a large part of my life these past two years. This blog and everything within - stories and work from fellow creatives, the trials and tribulations of creating,accomplishments (and a fair share of rejection too). All of these stories help make help make up the fabric of my life right now and it all makes me smile. It's just awesome! Thank you to each and every one of you! 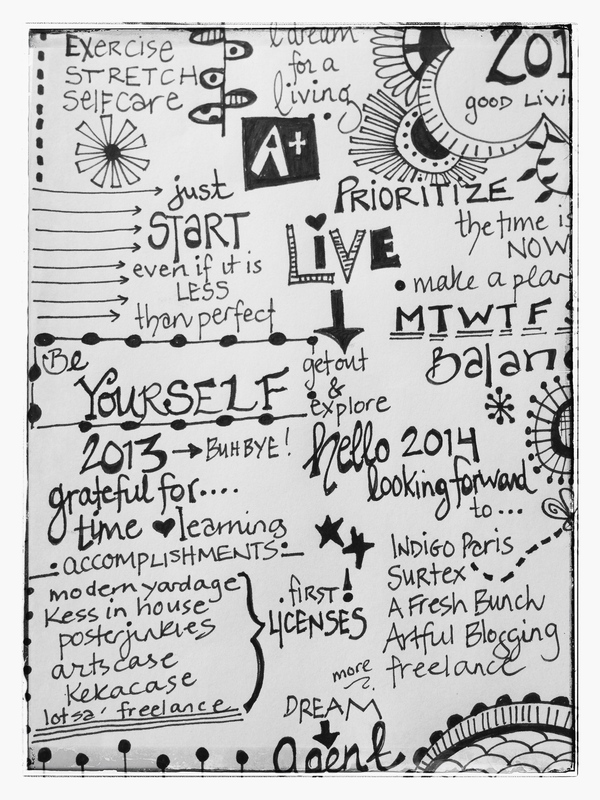 Sharing my intentions for 2014! I am hoping you will all hold me accountable. 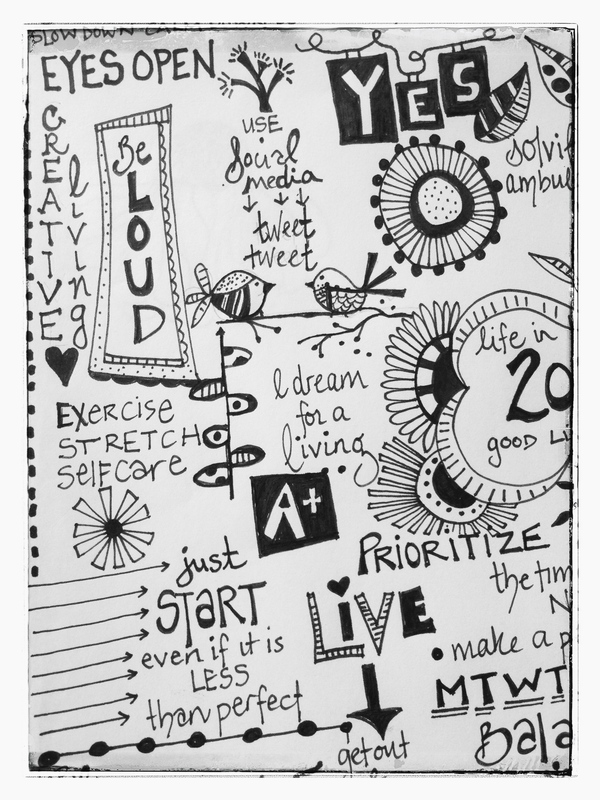 I am a bit of a dreamer as you can probably tell as I doodle my way off into 2014. Thinking of lots great things...for me and you! 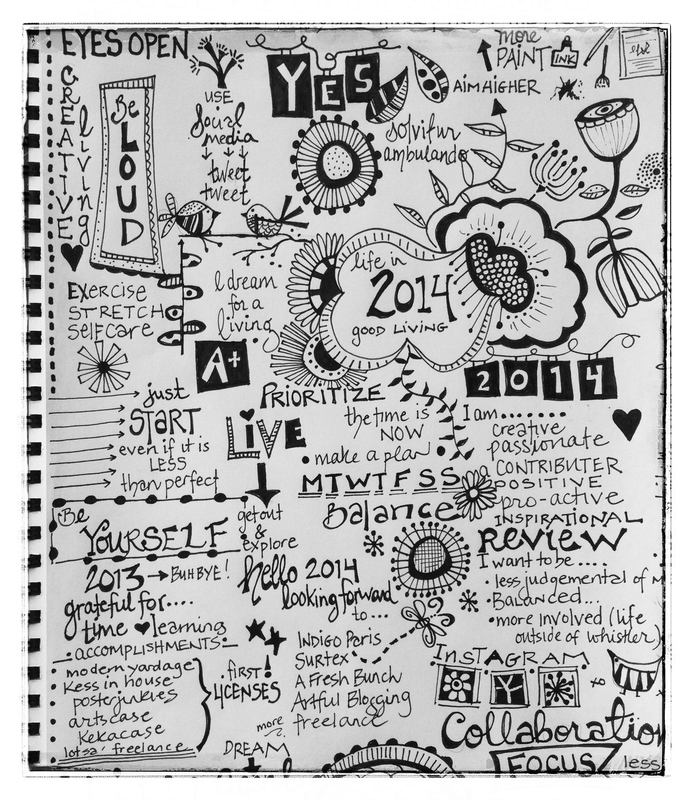 If you are interested in creating your very own intentions for 2014 I really enjoyed Do What You Love's New Years Revolution. 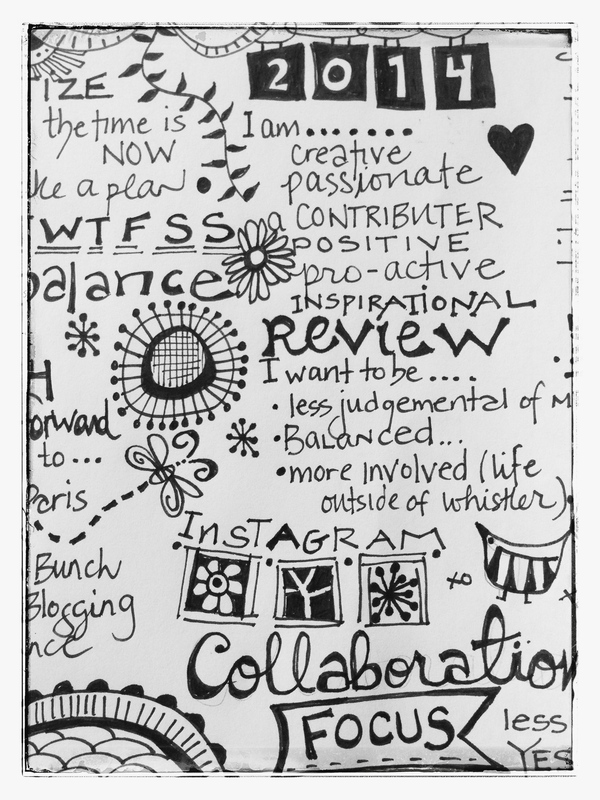 It is very well thought out and a great planner for the year. (it's free!) I am a believer in pen to paper for all intentions. It has a bit of sticking power and great to review monthly. Have a go! Wishing you all the best throughout the holidays and into 2014!